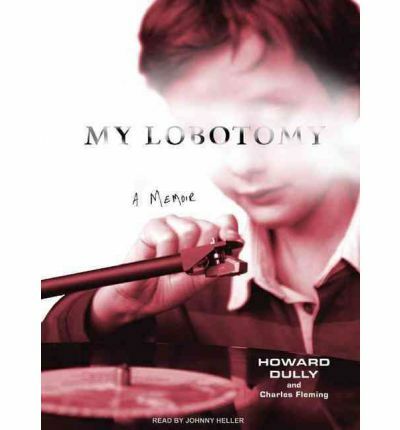 A gut-wrenching memoir by a man who was lobotomized at the age of twelve.Assisted by journalist/novelist Charles Fleming, Howard Dully recounts a family tragedy whose Sophoclean proportions he could only sketch in his powerful 2005 broadcast on NPR's All Things Considered. "In 1960," he writes, "I was given a transorbital, or 'ice pick' lobotomy. My stepmother arranged it. My father agreed to it. Dr. Walter Freeman, the father of the American lobotomy, told me he was going to do some 'tests.' It took ten minutes and cost two hundred dollars." Fellow doctors called Freeman's technique barbaric: an ice pick-like instrument was inserted about three inches into each eye socket and twirled to sever connections from the frontal lobe to the rest of the brain. The procedure was intended to help curb a variety of psychoses by muting emotional responses, but sometimes it irreversibly reduced patients to a childlike state or (in 15 percent of the operations Freeman performed) killed them outright. Dully's ten-minute "test" did neither, but in some ways it had a far crueler result, since it didn't end the unruly behavior that had set his stepmother against him to begin with. "I spent the next forty years in and out of insane asylums, jails, and halfway houses," he tells us. "I was homeless, alcoholic, and drug-addicted. I was lost." From all accounts, there was no excuse for the lobotomy. Dully had never been "crazy," and his (not very) bad behavior sounds like the typical acting-up of a child in desperate need of affection. His stepmother responded with unrelenting abuse and neglect, and his father allowed her to demonize his son and never admitted his complicity in the lobotomy; Freeman capitalized on their monumental dysfunction. It's a tale of epic horror, and while Dully's courage in telling it inspires awe, listeners are left to speculate about what drove supposedly responsible adults to such unconscionable acts. About the Author: HOWARD DULLY is a tour bus driver who lives happily with his wife in San Jose, California. This is his first book. CHARLES FLEMING is a former Newsweek correspondent and Vanity Fair contributor and the coauthor of a number of bestselling nonfiction books. He lives in Los Angeles. "From the Hardcover edition." Note: the structure of this mp3 audio book is mp3-cd. This indicates it will only play on personal computers with CD-ROM or DVD drives or CD players that are fitted to play mp3-cds. It can alternatively be cloned from a computer system to an mp3 player like an ipod sandisk rockbox sony or similar player.